Product information "VENICE/BASE - Bundle includes VENICE camera and DVF-EL200 Viewfinder"
Next generation camera with forward thinking full frame sensor, phenomenal color science and user-friendly operation.36x24mm Full-Frame Sensor for Cinema. VENICE is equipped with a 36x24mm full-frame image sensor, designed specifically for the demands and performance of high end cinematography, and can capture images up to a maximum resolution of 6048 x 4032*. By switching imager modes, VENICE can natively support Super35 24.3 x 18.3mm, 4096 x 3024 resolution (equivalent to 4-perforation motion picture film) and Super35 24.3 x 12.8mm, 4096 x 2160 resolution (equivalent to 3-perforation motion picture film). In other words, VENICE’s new full-frame sensor can capture in almost any format, including full 18mm-height Super35 Anamorphic and spherical and full-frame 24mm-height Anamorphic and spherical*. Almost any aspect ratio can be conjured up: 1.85:1, 2.39:1, 17:9, the list goes on in full-frame* or Super35. With VENICE, Sony is giving users the option to customize their camera by only enabling the features needed, according to their individual production requirements. Licenses are available to expand the camera’s capabilities including 4K anamorphic and full-frame*. Imaging Device Size36.2x24.1mm. 43.5mm (diagonal). 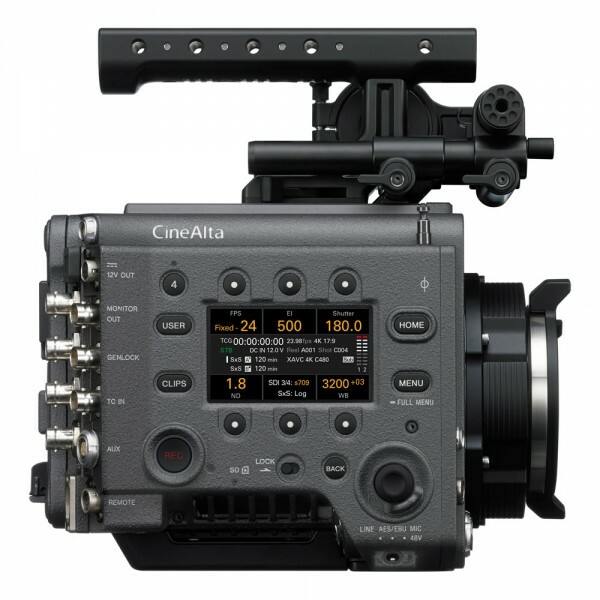 Works with CineAlta cameras, Compatible with CineAlta cameras, including the PMW-F55 and PMW-F5. Separate viewfinder cable and attachment. In order to use the DVF-EL200 with F55 and F5, viewfinder cables and CBK-55AT attachment are required (available separately). Related links to "VENICE/BASE - Bundle includes VENICE camera and DVF-EL200 Viewfinder"
Customer evaluation for "VENICE/BASE - Bundle includes VENICE camera and DVF-EL200 Viewfinder"